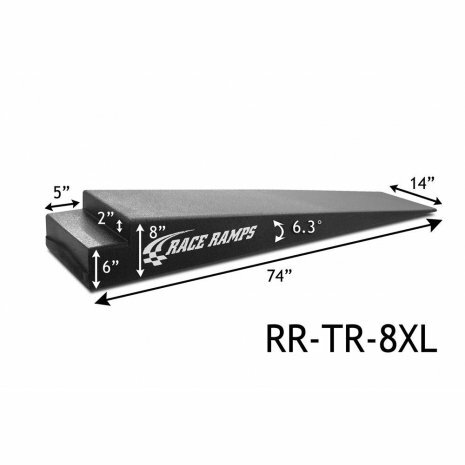 Trailer Ramps RR-TR-8XL Are Popular For Flatbed Operators And Racers With Higher trailers. 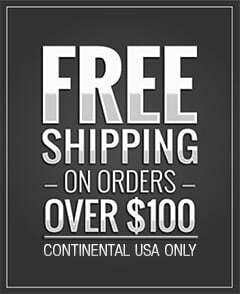 Have a Trailex or taller enclosed trailer? Then the Race Ramps RR-TR-8-XL are a great choice. 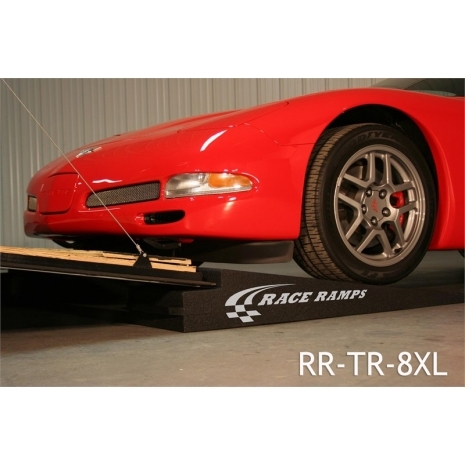 Trailer Ramps RR-TR-8XL is the seventh variation in our line of car loading ramps. Is your trailer door too steep to get your car to the race track or autocross? Are you tired of busting up your nose? 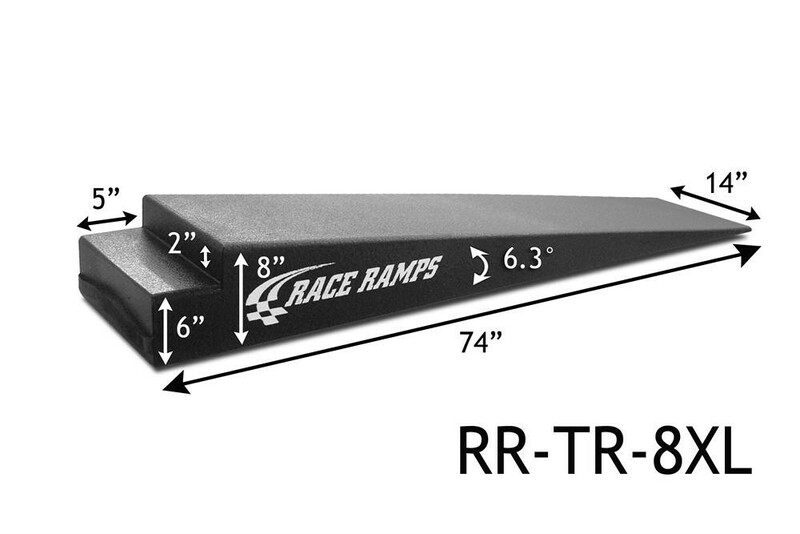 Race Ramps has just the solution for you: simply place the trailer door on the notch of these specially designed Trailer Ramps and decrease your angle of approach to as little as 6.3 degrees. These hassle-free, lightweight ramps work for cars weighing up to 6,000 pounds. 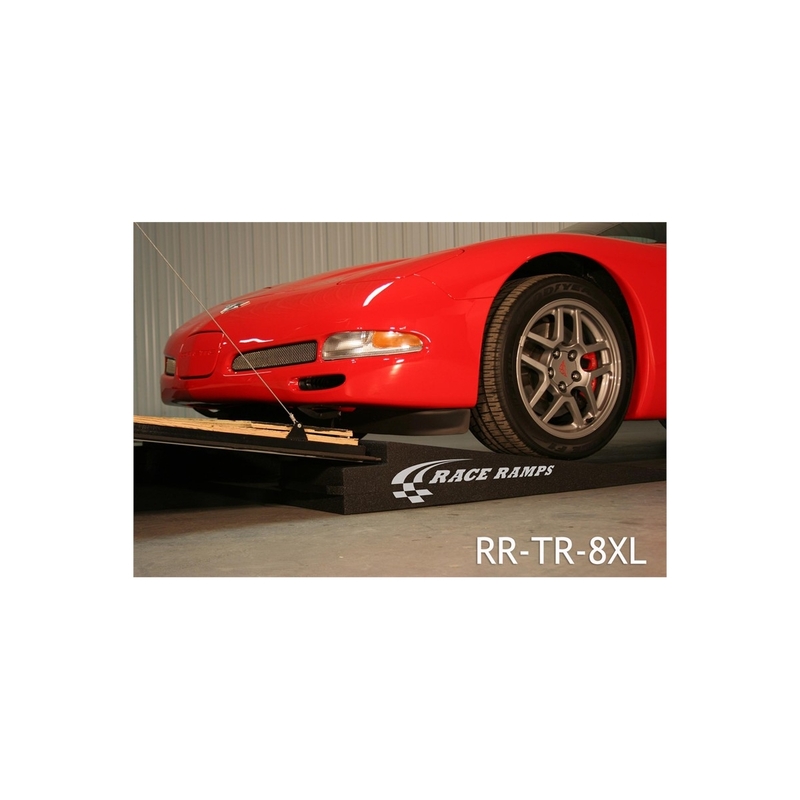 Trailer Ramps TR-8XL are ideal for low ground clearance cars with extra wide tires. Trailer Ramps help get low ground clearance vehicles onto trailers without scraping the nose on the trailer ramp door. Trailer Ramps are another innovative use of Brute Industries patented super lightweight 100% solid construction technology. TR-8 Trailer Ramps can be used by most Car Trailers, as well as towing vehicles. Simply place the trailer door or existing ramps (see photo) of your open trailer on the notch of these specially designed ramps for a gradual angle of approach. 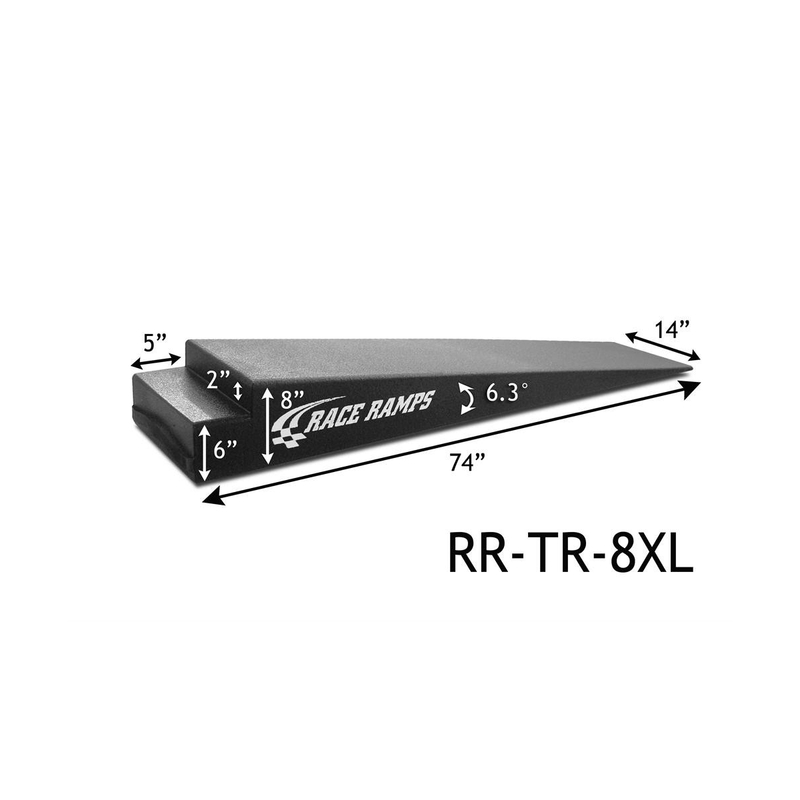 8" high ramps are 74" long and 14" wide, reduce angle of approach to 6.3 degrees, and can accommodate tires up to 14" wide.